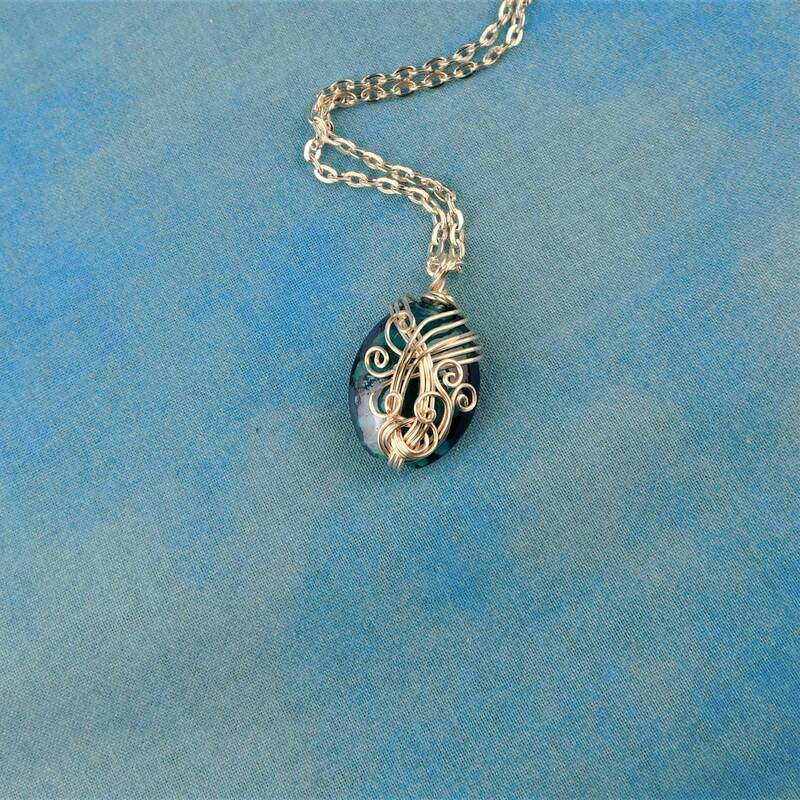 A beautiful 1 inch by 3/4 inch blue glass bead is artistically wrapped with non tarnish fine silver over copper wire. 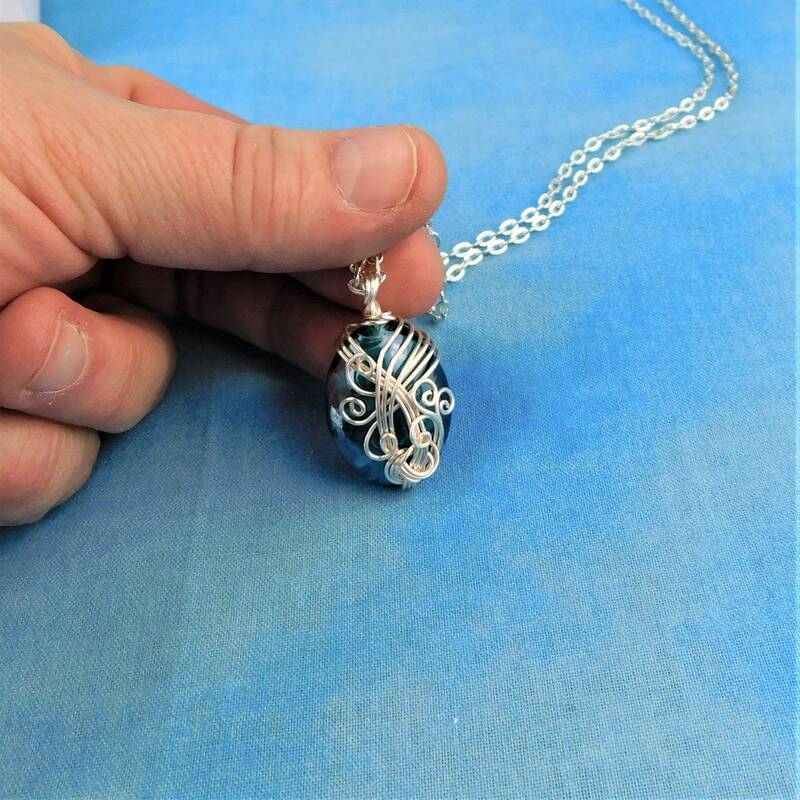 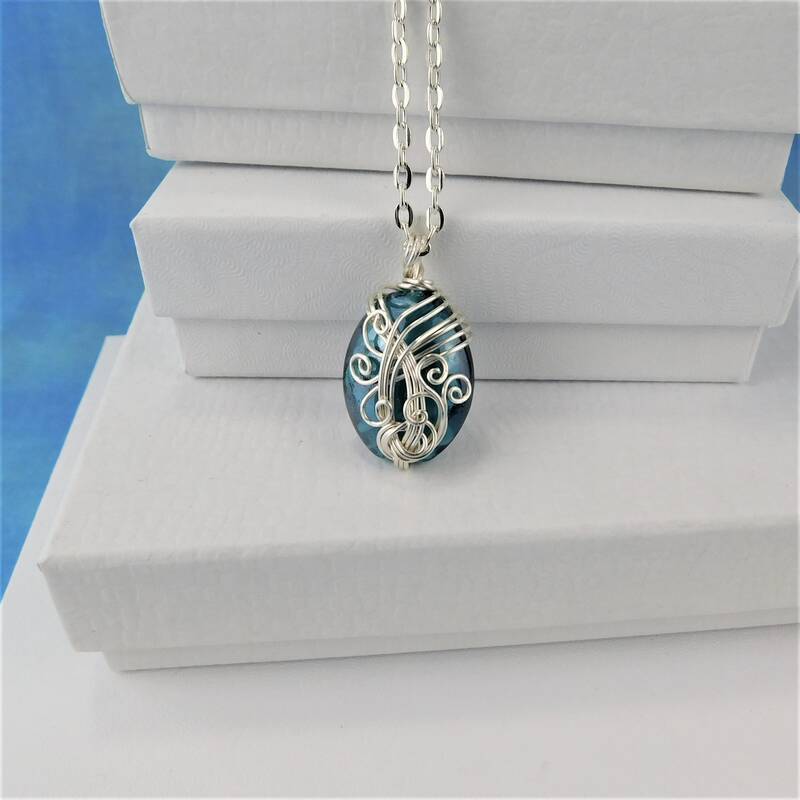 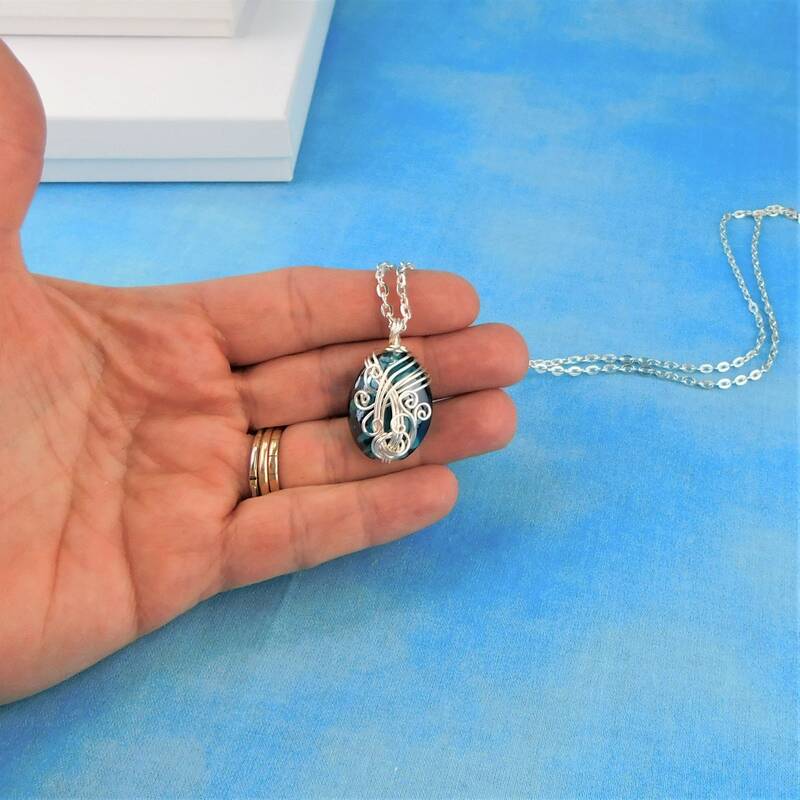 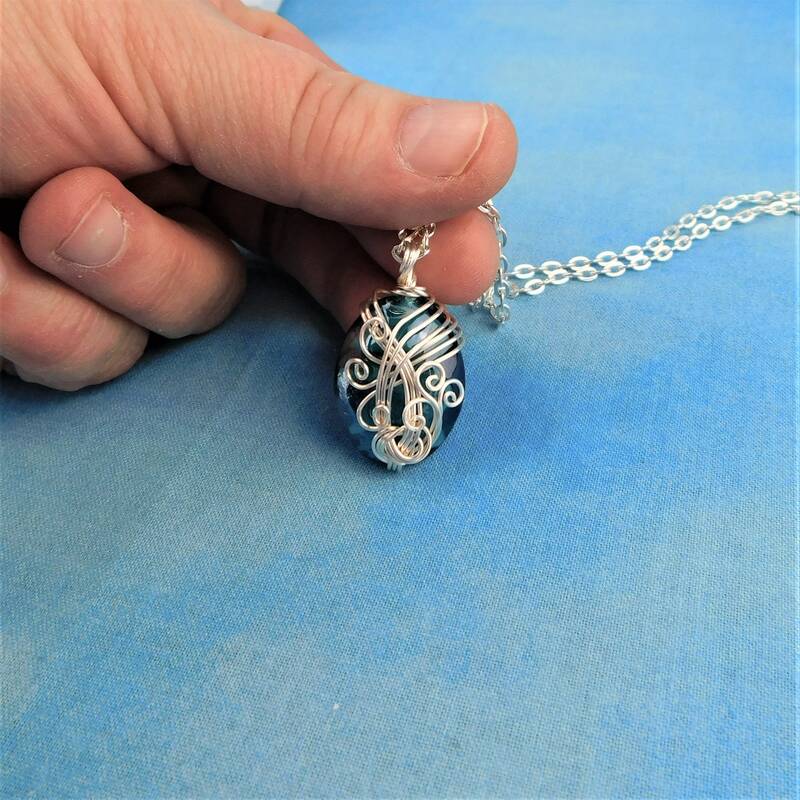 The artistic sculptured weave across the pendant was created using three individual strands of wire, pliers and patience. 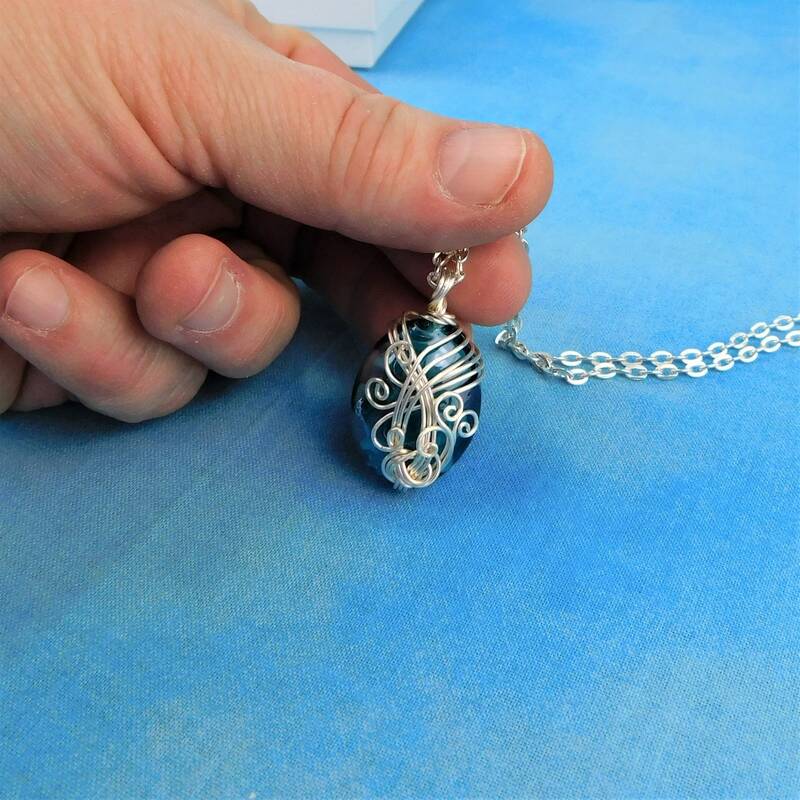 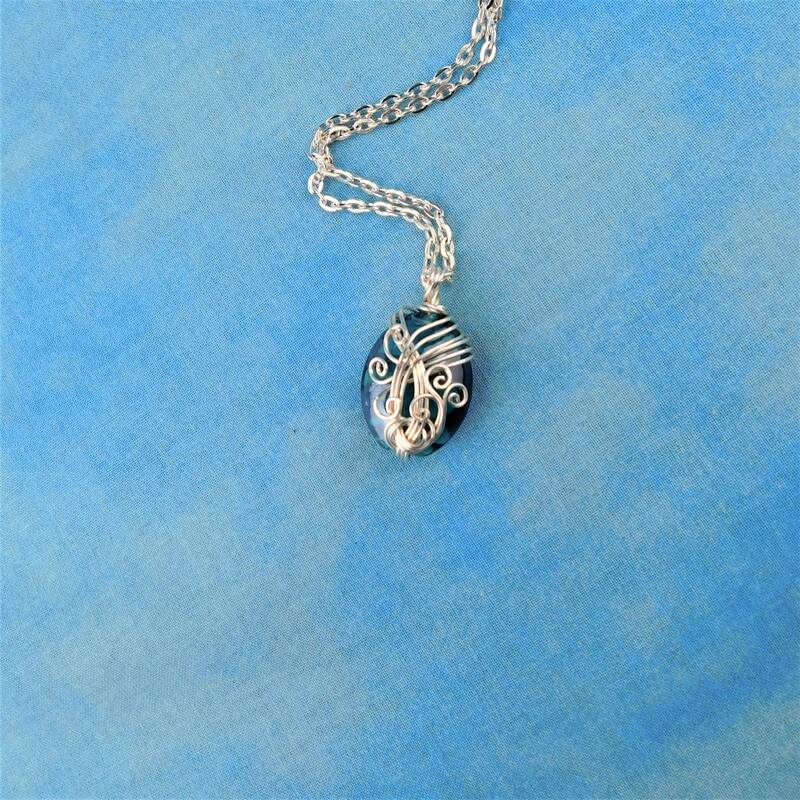 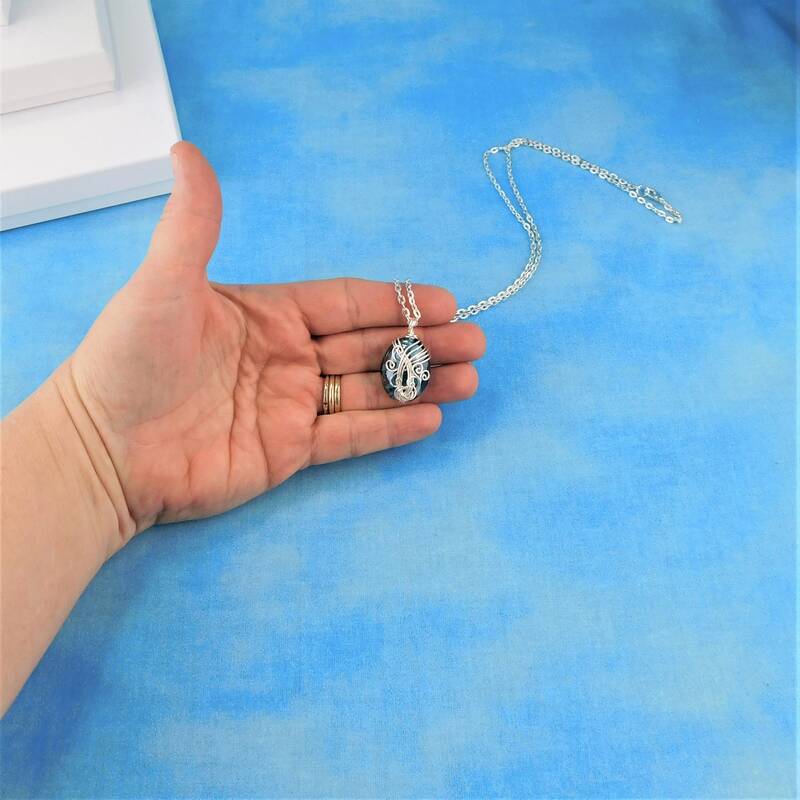 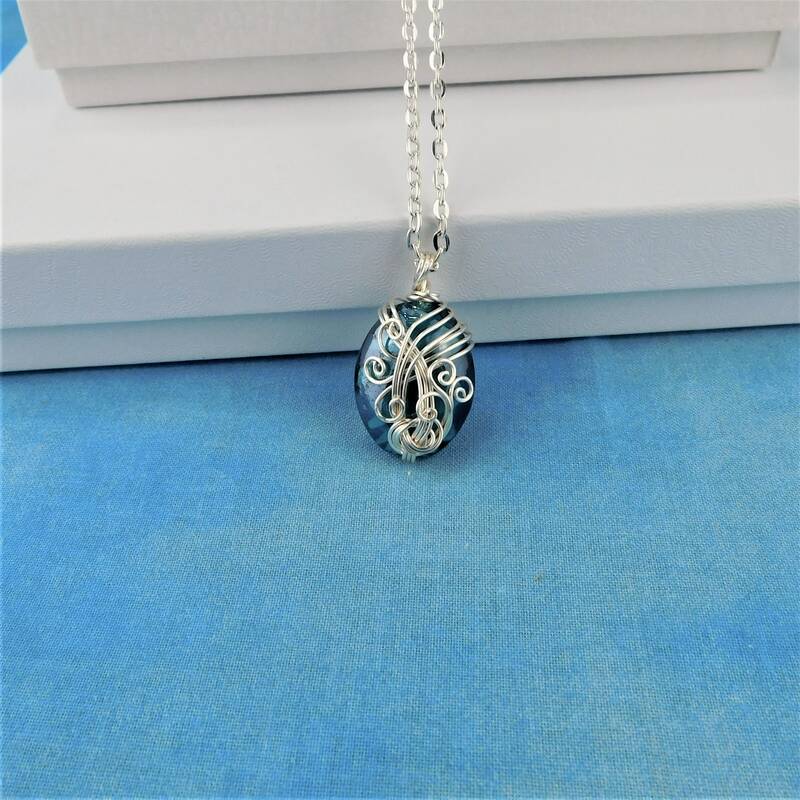 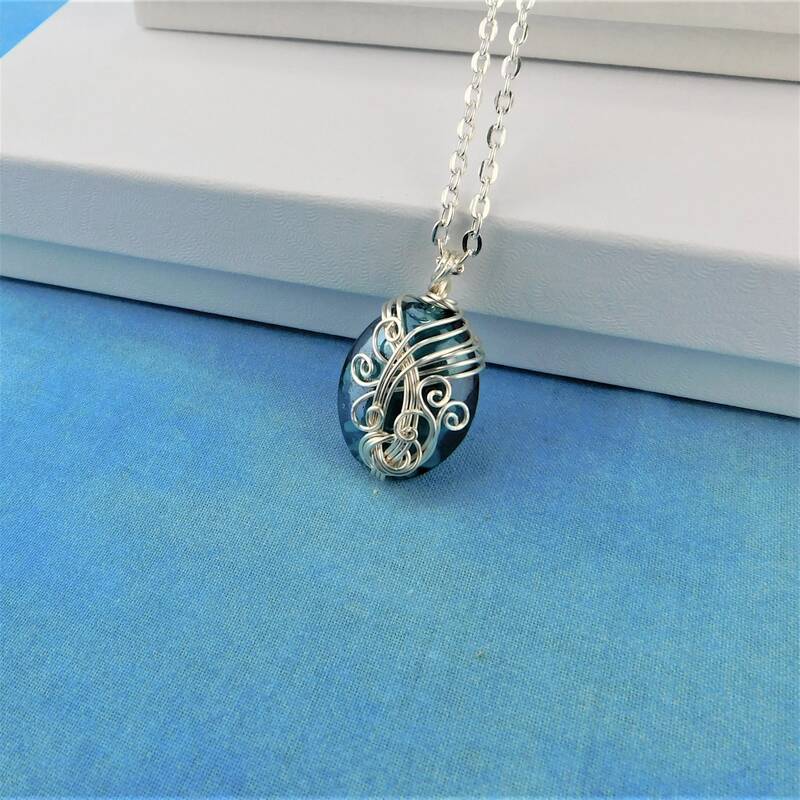 This pendant would create a unique focal point for any outfit.